Combination of video camera plus a video recorder together as a single unit electronic device is known as camcorder. Sometimes we need to have good sound clarity for the video being recorded by our camcorder. In this case a microphone may help us to capture and record the sound. Some camcorder has built-in microphones while some does not have it. 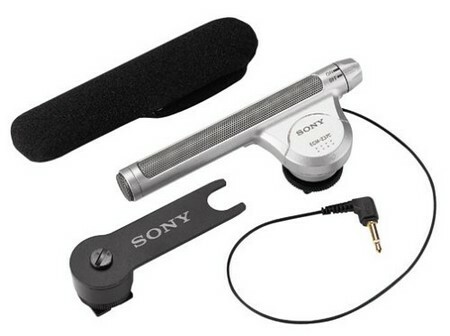 So for camcorders with microphones not built -in, we need to know the procedure of attaching it. We should be clear of which type of microphones to use; as there are different types of microphones available. Every microphone has its own features and advantages. It should be compatible with our camcorder. Fittings to the camcorders input should be perfect. It should fit with the inputs of the camcorder. Stereo jacks are being used by some camcorders. Select the one which fits correctly with the camcorders input. XLR jacks are being used by high end camcorders while low end types use stereo jacks. So we should make sure of the input of our camcorder. We should be clear of what type of battery to be used as batteries are very much necessary for camcorders we should ensure what type of batteries we need .we should check whether those batteries are being properly inserted inside the battery section before using the camcorder. The camcorders input are being connected to the microphone. If exact type of microphone has been purchase for the camcorder by us then we can make connections with the input. Now the microphone which is internally connected to the camcorder automatically turns off, once microphone is externally connected. This step helps us to turn on input of the XLR easily. If we are using high end camcorder we need to configure the audio settings, which should be done after connecting the microphone. Then we need to switch on input of the XLR to “on” position, in the audio location. After switching the XLR input is turned on, we have to proceed by switching on the” XLR Mic” to channel 2 or channel 1.This type of choosing the Channel depends on the terminal of the camcorder to which the microphone is being connected. Get to “line/Mic” knob and make it to “Mic” for changing to channel 2 or channel 1. Once these instructions are being followed, the microphone along with the camcorder is ready for use. We have to think of the situations where we are going to make use of the camcorder. This might help us to find out which type of microphone suits our camcorder. Few events need to use a noisy sort of microphone, whereas some need only a normal one. We also need to get recognized with our camcorder. So no matter whether its bottom end camcorder or high end camcorder, we have to know the configuration of it, when it is attached to a microphone .